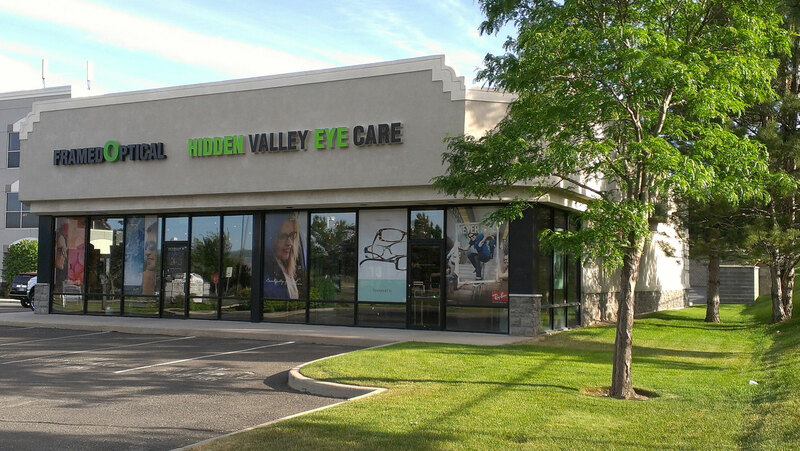 At Hidden Valley Eye Care and Framed Optical, our optometry staff works together to ensure your visit is comfortable and completed in a timely manner. We have a qualified team of professionals that will work with your busy schedule and address any questions or concerns prior to the appointment. Whether it’s a general eye exam or treating a condition that requires an in depth diagnosis, our team provides undivided attention to each patient so we can evaluate a plan based on your needs and our professional opinion. Dr. Mackay offers full vision examinations and will diagnose and treat an array of eye diseases and conditions to keep your eyes healthy! I had a great experience here. The staff is all very friendly and helpful. You could tell the doctor enjoys his job and cares about his patients. It’s also super convienient to get your glasses right after your appointment. They have a wonderful selection. Treated like a person not just another patient, took time to make sure what gets billed where, very professional, felt more like an old friend not a new patient. Having worn corrective lenses for 63 years of my life, I can truly say that the experience with Drs. Brad & Dallin Rice were exceptional in comparison to others. The state-of-the-art equipment truly surpasses my expectations as well as the office associates being so very pleasant and attentive...I am spreading the word!